Wondering what you should serve for a delicious Easter brunch? 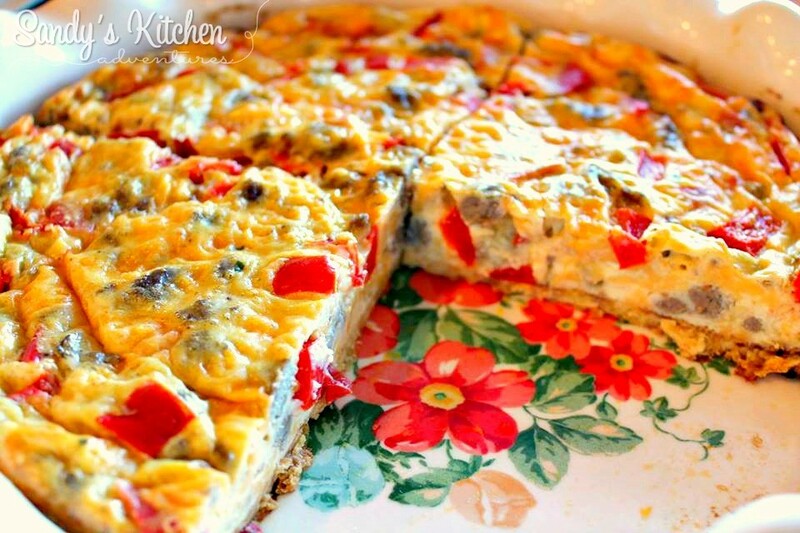 Here is a delicious quiche recipe that is perfect for Easter morning and it is a family favorite! I absolutely love the combination of savory Italian turkey sausage and sweet red bell peppers! I used a Sweet Red Pepper Cali'flour Foods crust for the bottom of my quiche. 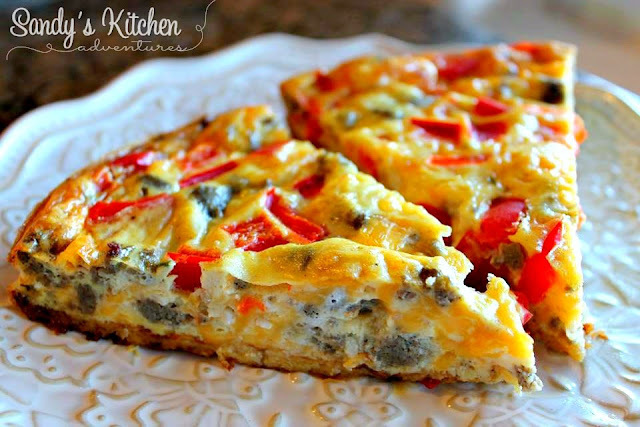 The cauliflower crust makes the quiche taste so much better! 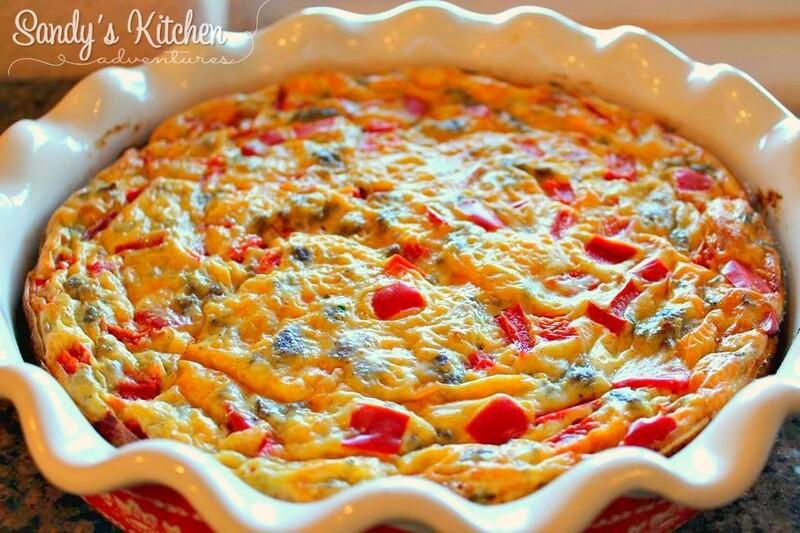 It adds texture that you might miss when doing a crustless quiche and the flavor is absolutely delicious! As you can see, these crusts aren't just for pizza... although they do make pretty amazing pizzas! I have found so many additional ways to use them. Try them as chips, as sandwiches, toast, burritos, enchiladas, quesadillas, or in lasagna! The possibilities are endless! These pre-made cauliflower crusts count as 1/2 a Lean and 3 Greens for the entire crust on the Optavia or Medifast 5 and 1 plan! Only 180 Calories, 6 g of Carbs, 9 g of Fat, and 15 g of protein for the whole thing!Interested in purchasing the crust? Click HERE to order! Remove pizza crust from freezer to thaw. Remove sausage from casings. In a medium sized skillet, brown sausage over medium high heat until cooked. Drain and set aside. Grease a 9 inch pie dish. When crust is thawed, place in pie dish. The crust fit perfectly on the bottom of my pie dish! Bake in oven for 5 minutes. For extra crisp on the crust, broil on high for 2 more minutes or until golden brown. Remove from oven and set aside. In a bowl, whisk the eggs, egg whites and unsweetened almond milk together. Stir in cheddar cheese, cooked sausage, and chopped red pepper. Add salt, pepper and grated parmesan cheese stirring until combined. Add egg mixture to pie dish. Bake for 45 to 50 minutes or until knife inserted in the center comes out clean. Remove and let cool in pie dish for 5 minutes before slicing and serving. 5 ounces Jennie-O all natural bulk sausage; the Hot bulk sausage is higher in sodium. Don't have the crust? Here is a crustless recipe! Disclosure: I receive free product in order to evaluate and comment on my experiences using Medifast products. Medifast products and the Medifast program are not intended to diagnose, treat, cure or prevent any disease or illness.